Are wild animals like coyotes causing you problems? The only real method to rid your property of coyotes is by trapping and removing them. We excel at coyote trapping, and have many years of experience at removing animals. Coyotes are well adapted to living around people and can even be found living in neighborhoods and cities like Lexington KY. It can create problems when coyotes get used to living around people. Coyotes usually do not attack people, but coyote attacks do occur if coyotes are allowed to become accustomed to people, and lose their fear of humans. The most common issue with coyotes is depredation of pets and livestock. Coyotes will eat almost anything they can catch out of any Lexington wildlife including pet dogs, cats, chickens, sheep, goats, and other livestock, rarely leaving behind dead animals. Coyotes cause a lot of damage as they kill and eat the domesticated animals including goats, sheep and cattle. In the rural areas, they damage the pipes carrying water for irrigation. Coyotes in Lexington KY are well adapted to living around humans and use the food sources provided by humans regularly. They will eat pet food, chicken eggs, crops and gardens and whatever else they can get a hold of easily. Though they generally do not attack humans, the number of attacks has certainly been on the rise in the recent past. For removal in Lexington, KY Wildlife control companies often say that homeowners may need to install electric fences or other deterrents, as the KY Wildlife are known to scale, dig under, and go through gaps in traditional fencing. Additionally, closing off crawl spaces beneath porches, decks, and sheds prevents coyotes from building dens and rearing their young. Guard animals may also work as a coyote deterrent. Contacting Wildlife Removal Pros is the best way to get rid of aggressive coyote populations. Wildlife Removal Pros’ specialists possess the knowledge, tools, and expertise to help with coyote control by safely and humanely removing coyotes in Lexington KY.
Coyotes are part of the canine family and are found throughout North America. They are clever wild animals capable of surviving in a wide range of habitats, from desert scrub to mountainous environments and deciduous forests. Coyotes are primarily carnivorous but will take advantage of almost any edible food source. Thanks to urban sprawl, their native ranges have been overrun with human activity, which has led to unwanted interactions. More and more people consider coyotes a major nuisance wildlife. Sometimes it’s necessary for Lexington wildlife control come in and remove coyotes from residential and commercial areas because the animal is causing real problems. But sometimes people just have a fear of coyotes, as if they’re dangerous predators, like wolves can be. The truth is that coyotes will rarely attack pets, and never people. Still, they can cause some problems. They do prey on people’s chicken coops, or even other small livestock, like sheep. Some people do fear for their pets. Coyotes have become common urban or suburban animals in many areas, and can dig through garbage, eat pet food, dig in the yard, and potentially live under a house or shed or porch, and spread fleas. If you are having problems with a Coyote on your property, give us a call. 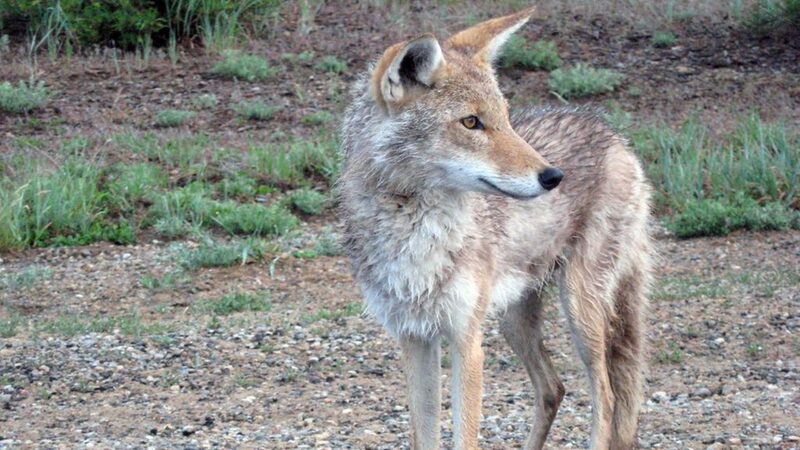 Coyotes can cause damage to livestock and pets. They are a nuisance animal that thrives in residential neighborhoods. Don’t run the risk of a coyote attacking a family pet. Let our professionals help with your coyote removal needs. Wildlife Removal Pros will help you with coyote trapping in Lexington Kentucky. We take pride in removing animals in a humane manner using safe, effective, trapping solutions. Coyote problems are usually started by monitoring activity to ensure trapping will be successful. When it comes to pest control and removal in lexington, our company excels with dealing with all sorts of animals throughout Central KY. Whether it is living or dead animals, we can get rid of it for you and provide you with effective wildlife management services to give you peace of mind. Many animals in residential and commercial areas also leave some sort of damage in their wake, and we also offer repairs for certain species, such as attic restoration included in our bat removal services. So if you are in need of a different pest control service such as rodent control, squirrel removal, bird control, raccoon removal, etc. or if you just have any questions, Give us a call today!